LADIES WHAT MOTIVATES YOU IN 2019 ? Push your boundaries and experience something new, like golf! 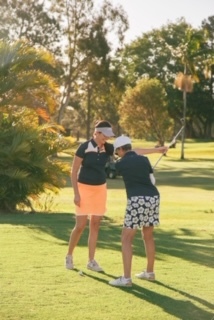 Find you inner drive and get golfing with Golf Queensland’s latest initiative; delivering golf instruction in a fun, creative, interactive and friendly environment for women. 60 minute session, all equipment including golf balls, golf clubs, coaching and refreshments are provided free of charge. 4 Weeks of 60 minute group clinics, all equipment including golf ball, golf clubs and coaching is included.